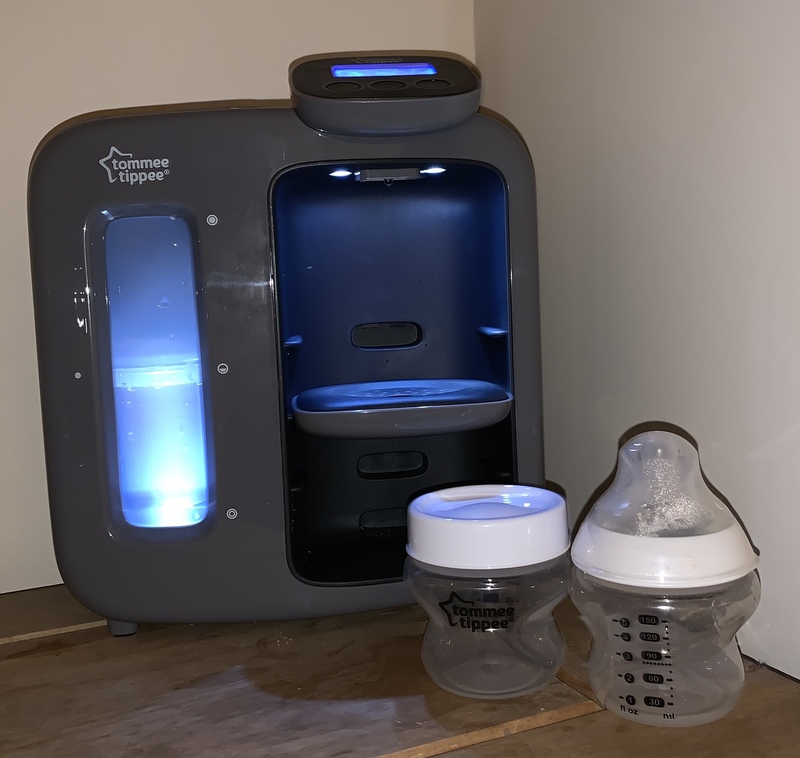 Today I am going to review the Tommee Tippee Perfect Prep Day and Night machine. This product was gifted in exchange for an honest review. All opinions are my own and not influenced. When Penny was born in March this year I had heard so many mixed reviews about the Perfect prep , including a no go review from my midwife. So me and my other half decided against it and that we would just make bottles up as we went. This worked for us and we totally managed, but that thought was always there whenever I saw the product in the shop as should we shouldn’t we,and I know to many people its quite a large chunk of money to pay when babies accessories can already cost such a lot ! 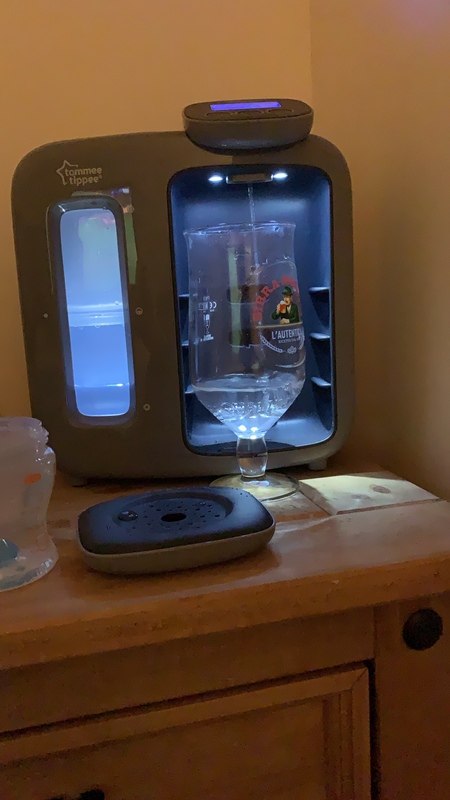 When Tommee Tippee asked me if I would review this product i felt like it was the perfect time to try it and either confirm my fears or fall in love. And Fall in love I did ! The machine is completely and utterly amazing! It makes life at home (especially when you have more than one child ) super easy and less time consuming ! I first shared the product on my stories via Instagram and received a lot of positive comments straight away telling me how brilliant the new model is. We were sent the perfect prep in Grey which is fabulous and goes with our room perfectly as I have decided to keep the machine upstairs now Penny’s a bit older it get more use at bedtime and first thing on a morning. 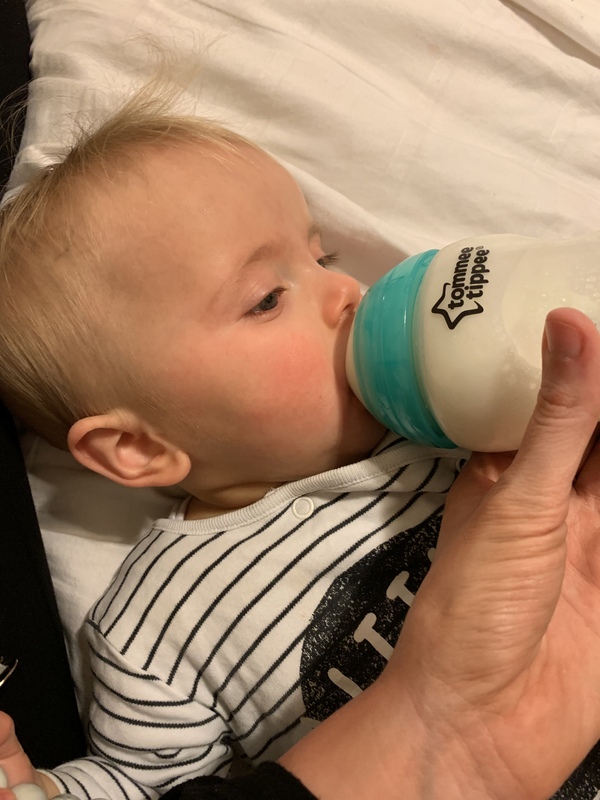 They also sent us some of the 150ml new anti colic bottles in the lovely turquoise colour which I absolutely adore and have since bought more (I think I have an actual bottle and dummy habit ). So basically with the machine when you first set it up it has a super easy instruction booklet with step by step on how to perform the initial cleaning procedure (please be patient with this it does take about 10 minutes but so worth it) after this its ready make a bottle following the steps below. (everything is prompted on screen, and have a large container at hand to run the water into. Step 2 – Add formula powder( always read instructions on the tub for each brand ) we use Aptamil. It is literally as easy as that !! Penny loves to sit and watch the water come out and get excited seeing her milk being made. 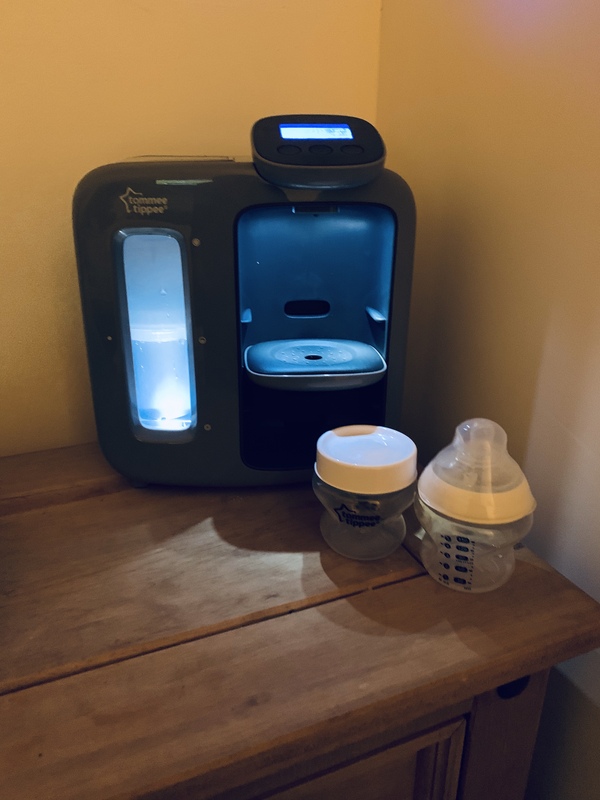 Thank you Tommee Tippee for creating such a brilliant product we absolutely love it and would definitely recommend to new parents ! Next Article Xtrem Bots Smart Bot !